Love purple? Then you’ll love this delicate rose bangle accented with sparkling, faceted, glass crystals in deep lavender purple. 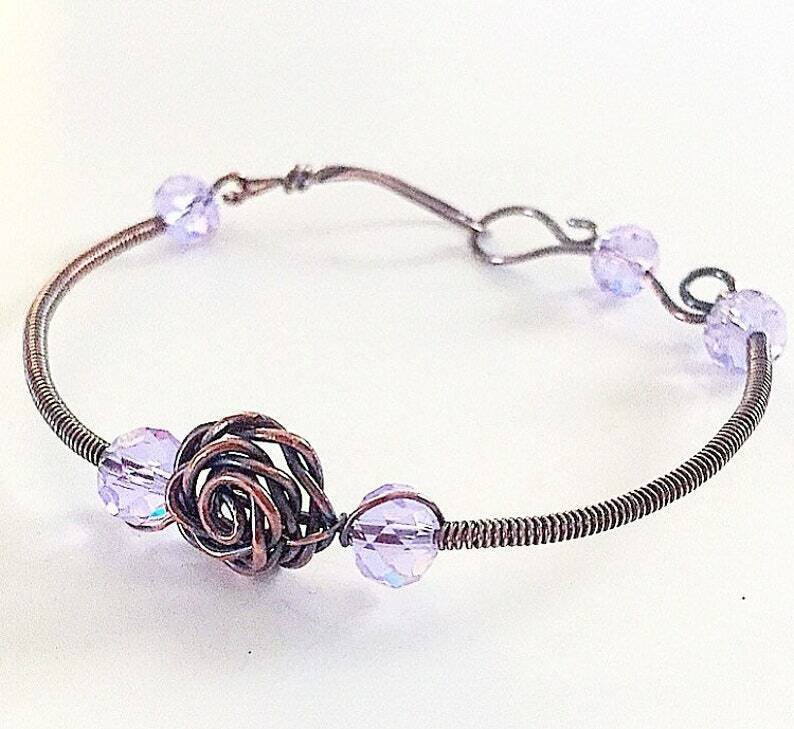 Bare copper wire is wrapped and formed into a pretty rose and coiled bracelet band. Antiqued with los solution, then polished by hand. Free domestic shipping through 2/14/19!